The Analytics topic has been so popular these days, that its capabilities are being expected from every other Big Data / Search platforms such as Hadoop, Spark, Cassandra, Elastic, Solr. Solr a popular search platform, provides various analytics capabilities and allows to extend / customize it further. Before we get into how to perform basic analytical operations in Solr, let’s talk about some of the use cases where you would like to apply the Analytics. Run time Analytics – Consider a use cases where you would like to provide your users some aggregated information during the search. Taking an example, user search for a product “computer glasses” and you provide various other aggregated info on top of search results like the lowest & highest price or in a use case where you are storing stocks prices, you may want to provide various other aggregated info like total stock value, peek time in a day/week/month etc. Geo Spatial Analytics – There can be many use cases around Geo Spatial. For a job Search, analyzing the skilled population by region/city/stats/country or for a Power/Electricity provider finding the closer power grids from a particular location (geo codes) etc. For Product searches you may want to capture the incoming IP addresses into geo codes and then later try to find out your customer/user base region wise. These few use cases are like “tip of the iceberg” and as you work on your domain you will encounter similar use cases where you can apply analytics to make sense of your data. The first step is to get aware with Solr Function queries & various Math functions. There are various mathematical functions which Solr provides (mostly all Java functions) like min, max, sum, product, log etc. See https://cwiki.apache.org/confluence/display/solr/Function+Queries for more details. Taking an example, lets assume you are being asked to return an additional field “total price” for each document/record which is a product of qty & price. You may append this to fl parameter like below to get total price for each document. In various situations you may want to perform aggregation on set of documents in which case you will have to look on Stats component of Solr. For e.g. you may want to sum up price for all the documents. You would add below parameters which will return various default statistics like sum, max, min, mean(avg) etc. You will be able to exclude or tag filters etc. as usual. e.g. 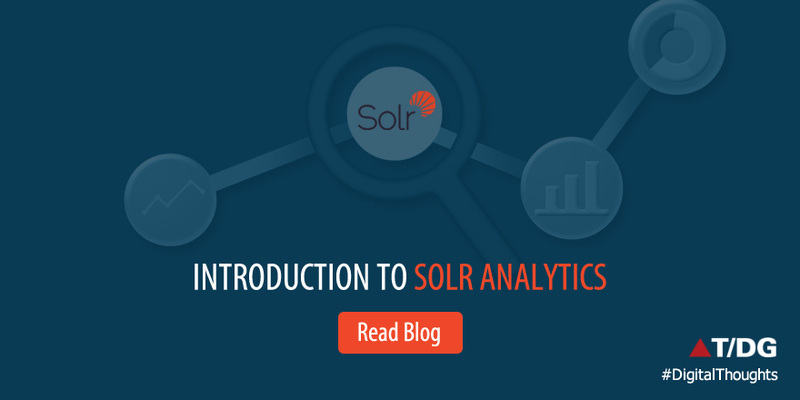 This shall give basic understanding of various analytical capabilities within Solr and in the next blog I am going to cover advance analytics like pivot facets & analytics component and how Solr cloud affects these analytics capabilities. Feel free to contact me or leave you comments in case of any questions.